Published on 7 Sep 2014 at 8:33 pm. App splitting is a growing trend in mobile apps. So why are companies choosing to split apps in two? Reasons Companies Are Looking to Mobile App Splitting? Foursquare experienced mobile app splitting when they created Swarm. There are three major reasons why companies are looking to splitting features into separate apps. Most users don’t need every feature. Declining belief in app burnout. Foursquare is probably the most extreme of the example of users not needing every feature. They found that most users only did one of two things — either you wrote reviews or you checked-in to locations. As a long-time Foursquare user I can attest to this point. I found myself checking-in to nearly every location I went, but I would rarely leave a review. 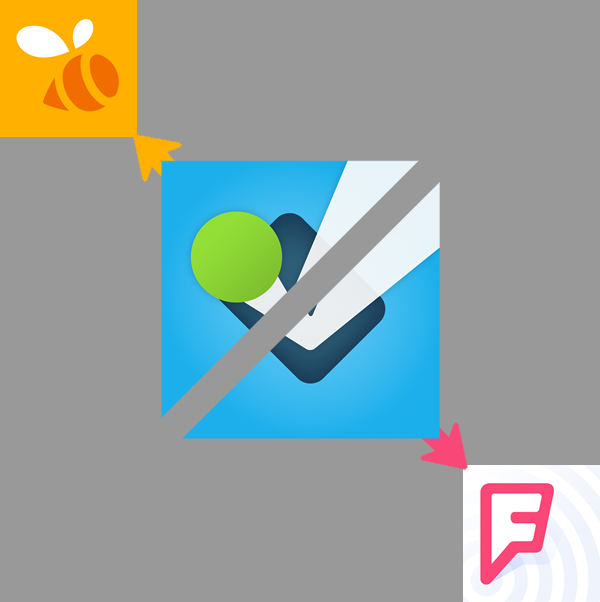 With this point in mind Foursquare decided to split the check-in feature into a new app named Swarm. Now Foursquare can create a more engaging experience for their users by solely developing features meant only for them. Furthermore users wouldn’t download automatic app updates that brought them features they would never user. This is a win for everyone. Recently Facebook announced that they are dropping chat from the main app and directing users to the Messenger app. Facebook users are notorious for both hating and rolling with change. Any time Facebook makes a change users claim that they hate it and will no longer use Facebook. Then a week passes and it’s back to business as-usual. During the hatred-stage users speculated that Facebook would start inserting ads into their conversations. While this is obviously possible, Mark Zuckerberg shot that down to investors saying that they are not interested in those short-term gains. Instead they will monetize Messenger through payments. The speculation is that you can easily send money to the person you’re chatting with. Possibly other forms of payments for ecommerce sites. Zuckerberg was clear that this is a long-term project that will take many years. App burnout has long been a claim against mobile apps. The claim was that most smartphone users were getting tired of apps. While it might be true for some people, they are the minority. The number of apps in all app stores has grown with each year. App usage grew by 115% in 2013. Heck, users’ demand for apps has caused a decline in mobile web usage. At this point the fear that users aren’t interested in separate apps has fallen and the need for monolithic apps has declined. It’s safe to consider mobile app splitting. What Does Mobile App Splitting Mean For Users? Ultimately the trend towards mobile app splitting is a positive for consumers. As separate apps you can expect to see new versions at a faster pace. These apps will run as separate processes and thus will have better performance. You’re unlikely to see a decline in the user experience since mobile apps can integrate with one another. For example, the new Foursquare app still has a button to check-in. Pressing this button launches the location in the Swarm app. Clicking on an existing Facebook conversation launches it in the Messenger app. There is no practical difference for this to the user when they’re already in the app. The mobile home screen is a different matter. You may find yourself swapping out old favorites for the new app. Or depending on your taste you may find yourself creating more folders on your home screen. That could be a bit of an annoyance. Fortunately you’re not on the home screen most of time. Alternatively you can always use the voice assistant for your mobile OS to open the app using the name. This may save you time since you can now have it directly send you to the feature you really wanted to use. For example, instead of making Siri open Facebook and then clicking on the messages button you can have it directly open Messenger. That convenience is a nice touch. So what are your thoughts on mobile app splitting? Are you tired of downloading more apps? Are you happy to see your apps focus on doing one thing very well? Please share your thoughts. This post was originally published as Mobile App Splitting for Brand Builder Websites. © 2019 Brian LePore (POWRSURG)'s blog, proudly powered by WordPress. Feeds: Atom, RSS. Unless otherwise noted, all content here is original and free to distribute.